“Mayday Means Help!” — a reminder from the June/July 1940 National Radio News. Note the pilot’s microphone, his airplane’s broken wings and propeller, and the sharks circling in the water! 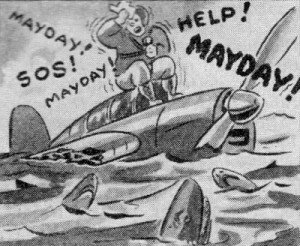 As a kid growing up in the Fifties, I remember hearing Mayday used in countless dramas and B-movies I’d see on TV. Usually the scenes depicted were pretty intense — a tramp steamer halfway between Colombo and Kuala Lumpur taking on water, with the captain barking this alert into his ship’s radio microphone. Or maybe it was a daring young pilot broadcasting the same plea while preparing to ditch his plane in the vast Atlantic Ocean, unless … unless … his second engine held. But where did the expression Mayday come from? 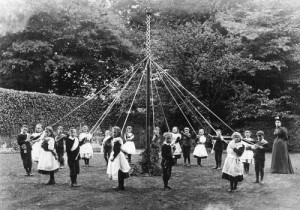 The word Mayday was coined in 1923 by Frederick Stanley Mockford. At that time Mockford served as a senior radio engineer at Croydon Airport, which was London’s first international airfield. In light of the burgeoning use of radio voice communications in aviation, Mockford was tasked with coming up with a short, easy-to-use word to express what “SOS” did in Morse code. 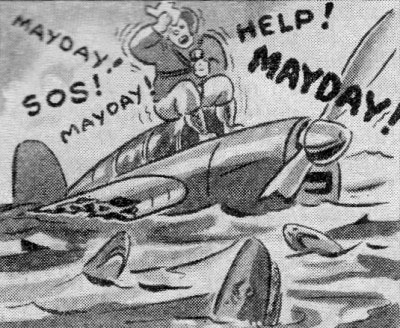 Today Mayday is still very much in use to signal dire situations in the air or on the sea, but the term now also is employed in a light-hearted dramatic sense to gain attention concerning mild dangers or problems. For example: “Mayday! Mayday! This department is critically short of copy paper.” Or something like that. 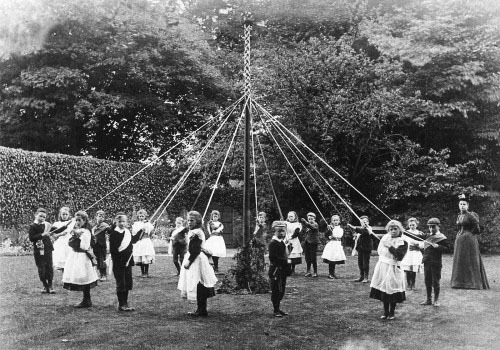 Celebration of the old Celtic holiday of May Day (May 1), complete with Maypole. 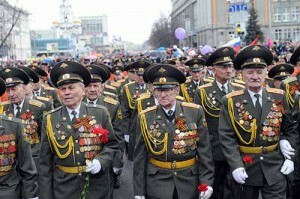 Under the old Soviet Union, May Day was a celebration of patriotism and military might. Though I do have a soft spot for this scene concerning Mayday. 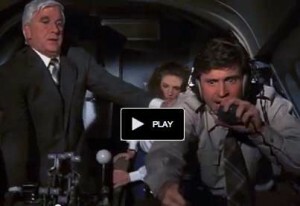 From the incredibly funny movie Airplane (1980). 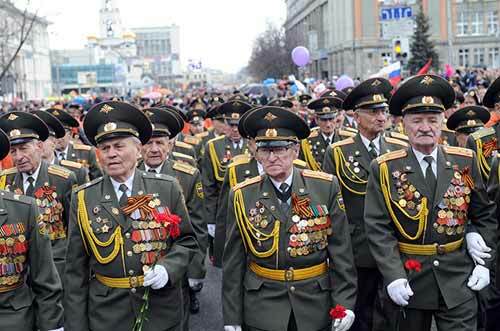 This entry was posted on Saturday, March 28th, 2015 at 3:49 pmand is filed under . You can follow any responses to this entry through the RSS 2.0 feed. You can leave a response, or trackback from your own site.